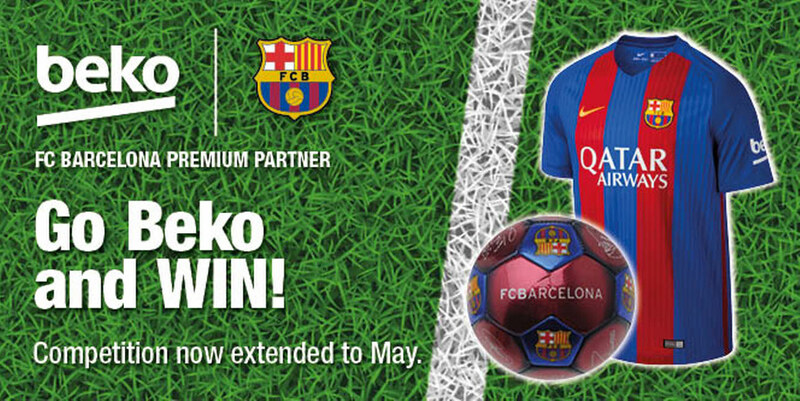 Throughout April we are running a prize draw to win an official FC Barcelona t-shirt and football set. To celebrate our new partnership with Beko we have five sets of prizes up for grabs in store. Each time you buy a Beko appliance with Magnet Trade you will be entered into the draw to win*. There is no limit to how many entries you can have so you can increase your chances with multiple purchases. T&C's Magnet is the only promoter and responsible for this commercial promotion; FC Barcelona is in no way involved with such promotion. In such manner, any and all claim or complaint derived from the execution of the previously mentioned promotion (winner designation, claim of prizes, etc.) will have to be channelled directly with Magnet. Hence, exempting FC Barcelona from any liability.